Caution the economic interests of MasAir, as of users. Note: These laws and regulations may relate to Customs Services, Agricultural and Livestock Services, Police Controls, Sanitary Services, ICAO and IATA Regulations, Endangered Species Controls (CITES), Control Area Instructions and Quality, in addition to any regulation contained in any Company Manual, apart from the regulations contained in this Manual. 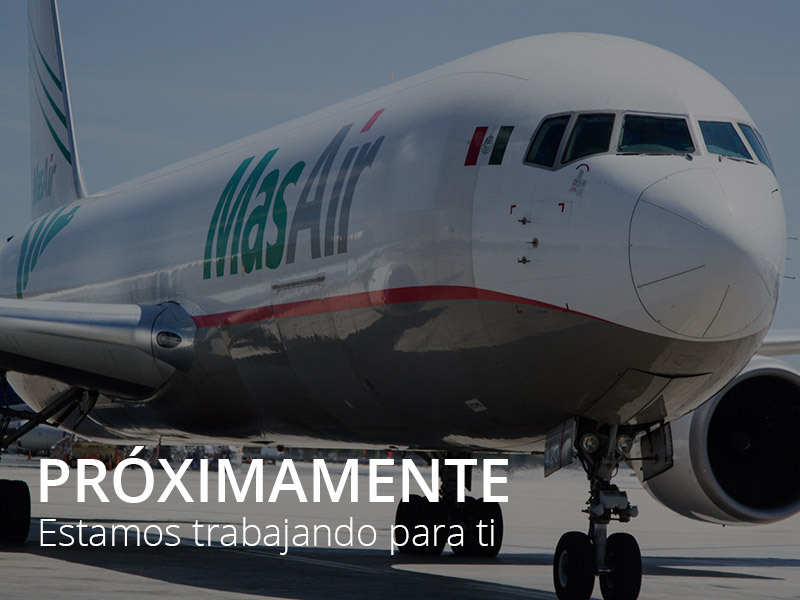 Thus, MasAir, subscribes the Regulations contained in the Manuals of Dangerous Goods and Live Animals of IATA, regulation that will be applied along all its routes. Shipments of firearms with sporting purposes can be accepted, as long as they are allowed by the countries of origin, transit and destination. Items capable of compromising the safety of the aircraft, people or property or causing discomfort to passengers and crew. Items that are prohibited by the laws or regulations of the countries of origin, transit and destination. This does not include those small arms that are traded with sports, nor those weapons destined to police institutions of some country, such as: pistols, shotguns, rifles, etc. provided that the import and export permits of the states concerned (including transit countries) are added to the rest of the documentation. MasAir, will refuse to transport any shipment on its aircraft from the airport of origin or from any other point, when it reasonably appears that such shipment is wrap or packed poorly. It is of such nature or has defects that indicate to the carrier that its transportation can not be carried out without loss or damage of the goods. The acceptance of the cargo by MasAir, will not be based on the figures shown in the Air Waybill or other attached document (particularly in the case of transfers from other carriers). The pieces of load will be counted and will be weighed in scale. These data will be recorded in the Warehouse Receipt or any other document that is issued due to the reception and acceptance of the cargo, with the purpose of making the changes in the Air Waybill in the event that there is discrepancies, before the cargo is manifested to be put on board. Shipments may be accepted from known and / or accredited Agents / Shippers (Known Shipper or Credited Agencies). If there are some packages of customers of any Cargo Agency that has been duly qualified by the State of origin, the Agent / Shipper, may issue a SECURITY DECLARATION in writing on paper with the letterhead of his Company in which he will respond for the security of the cargo you are sending. Shipments received from unknown shippers, whatever their nature, and of those cargoes that will be dispatched, will be subject to additional controls such as ocular verification, by X-rays, gamma rays or by trained dogs; All the available documentation will be examined to determine the name and address of the shippers, these tasks will correspond to the commercial and security area. At all cargo acceptance points, these may be subjected to random or strict physical controls, such inspections or controls are carried out by the corresponding customs or local authorities. They will be accepted for transport only with prior agreement, especially when several carriers are involved in transporting said loads. An agent responsible for cargo of MasAir must verify that said cargo can be transported to its final destination, taking into account the type or types of aircraft that will be used. Note 1: Any merchandise prohibited by law or international or national regulations of the States of origin, transit and destination of cargo will not be accepted as Courier. Note 2: The acceptance of UN1845 must be carried out only by properly qualified personnel (who have approved the course of acceptance of dangerous goods and this is in force). Unaccompanied baggage can be considered cargo and will only be accepted under cover of an air waybill as any other regular load. This type of boarding must be checked in physical form, by means of an X-ray machine and / or Gamma Rays or by dogs. This procedure must always be carried out, whether the shipment comes from an unknown shipper, from a known shipper or from a regulated agency and the competent authority must be involved to carry out said review. The shipper must comply with all customs regulations and any other governmental regulations of any country from, to or about which it is flying, relating to the packing, transport and delivery of the goods, including the provision of all information and documentation as they may be necessary to meet these requirements; however, the carrier is not obliged to verify the correctness or its knowledge of the information, documents or marking. MasAir, reserves the right to examine the package and the contents of all shipments or part of them, in order to corroborate what was expressed by the shipper on the air waybill, in some countries along our routes this practice can only be carried out or made by the corresponding authority. That the cargo is in good condition when it is received and if it is not, it will be recorded on the warehouse receipt and a copy will be given to the client to inform him and that he is aware of the reception conditions. Note: The warehouse receipt certifies the conditions in which the cargo was received, dimensions, weight and number of packages that make up the shipment as well as the date and time of receipt. We want to always improve for you. For us, your opinion is very important, so we ask you to respond to this form of our services.